I offer multiple legal services payment methods to best suit my clients’ needs. I work on hourly fees, flat fees, hybrid fees, and contingency fees. Options will vary whether you are a plaintiff or a defendant in a case. But I work with clients to help them begin case activity immediately. The first option, the hourly fee, is a straight hourly rate that is paid as a case proceeds. An hourly fee is a traditional model for attorneys. This means that we bill for the amount of time we spend working on your file. In an hourly fee option, you’re billed and may be required to put down a retainer to begin the work required for an hourly case. The second payment option we offer is a hybrid fee. A hybrid fee is a combination of either an hourly fee or a flat fee, with a contingency fee. Generally, the hourly fee in a hybrid fee would be a rate from my normal hourly fee. Then, at the end of the case for any recovery received, I would take a smaller contingency fee than I would if it was a complete contingency fee case. The third option available is a flat fee. A flat fee means that my client and I sit down and we discuss what needs to be done and we determine a price at which the client will pay a one-time fee for the entire project. The final fee structure I offer is a contingency fee. Think of this as a success fee. Our law firm does not receive any attorney’s fees unless and until the firm recovers money on your behalf. We provide two different fee options for Defendants. For defendants, I offer the hourly fee and the flat fee. The hourly fee offered to defendants is the traditional payment model for attorneys. This means that we bill for the amount of time we spend working on your file. An hourly fee will also require an upfront retainer from which to fund the work that will be done. I offer all of these options because I want my clients to receive the best legal services and make the right decisions for their situations. Contingency fee means that the client pays legal fees when the lawyer and case brings in money from the legal actions taken. Reed immediately begins work on the case to pursue a legal action. Clients meanwhile are not billed, have to write a check, or pay by credit card to get a case moving. 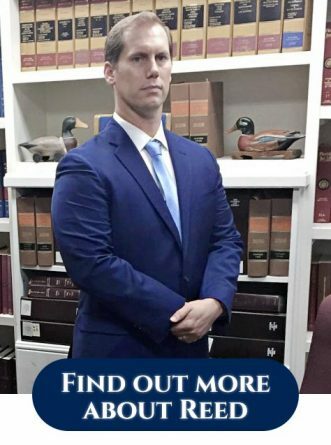 Every case is reviewed and there is no guarantee that it will qualify or be accepted as a contingency fee case, but you can find out through talking with Reed. Get started on your case. Explain the details in a conversation with Reed, and find out if the payments options work for you.